As a bookkeeping & QuickBooks consulting firm, we take a more customized approach to bookkeeping & accounting. Basically businesses maintain books for two reasons: first, to pay taxes; and second, to understand how the business is doing. Streamlined Bookkeeping Svcs (SBS) works closely with each client to build an accounting system that provides the information needed to make a business successful. We customize our services to meet your specific business needs - assisting you with monthly account reviews, providing bill paying, preparing invoices, running payroll, financial reporting, account reconciliations, fixed asset tracking, and managing all of your financial back-office needs. 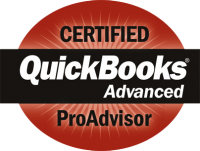 QuickBooks Accounting Software programs are ideally suited for small business owners and non-profit organizations. These programs have made bookkeeping process much easier for you. However, no accounting software program can be operated properly without sufficient knowledge about its features and functionality. Therefore, for a proper accounting system it is important to complete the QuickBooks set up and installation properly. That is the reason Mr. Zeb works with many of his clients to assist them part-time and when needed.